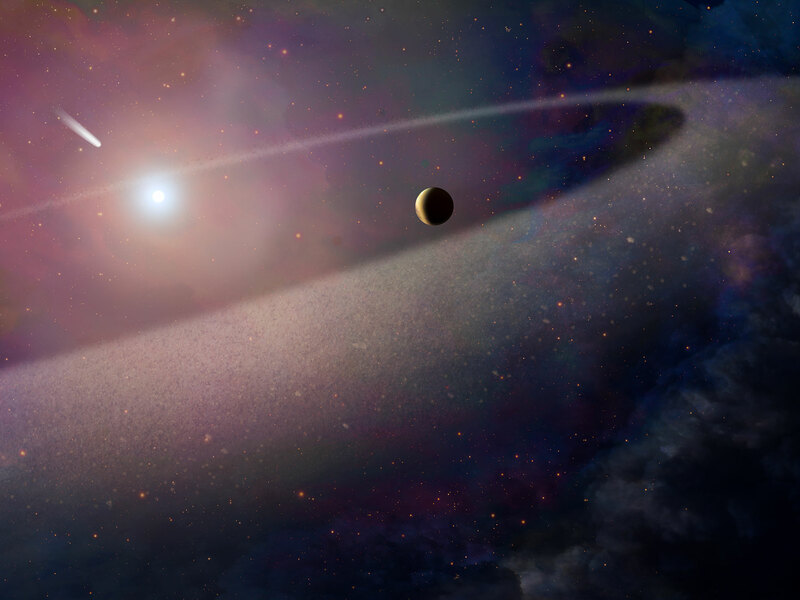 This artist’s concept shows a massive, comet-like object falling toward a white dwarf. 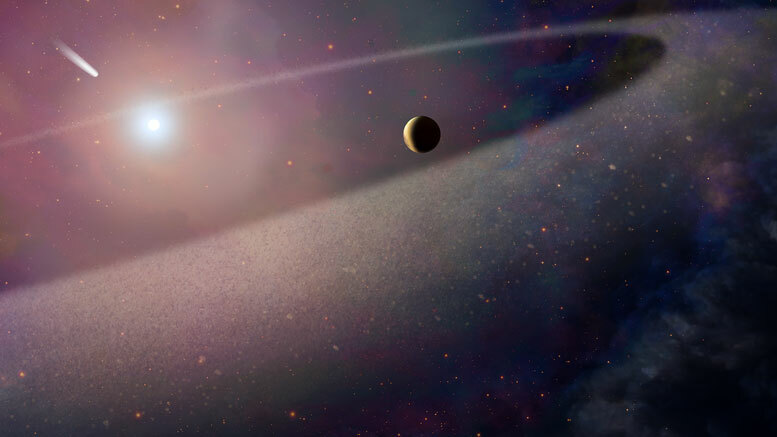 New Hubble Space Telescope findings are evidence for a belt of comet-like bodies orbiting the white dwarf, similar to our solar system’s Kuiper Belt. The findings also suggest the presence of one or more unseen surviving planets around the white dwarf, which may have perturbed the belt to hurl icy objects into the burned-out star. Using NASA’s Hubble Space Telescope, a team astronomers has found the first evidence of the remains of a comet-like object scattered around a burned-out star. Be the first to comment on "Hubble Reveals the Massive Remains of a Comet-Like Object Scattered Around a White Dwarf"